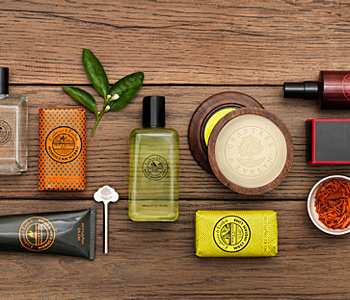 A man's skin needs a different level of care, and Crabtree & Evelyn knows just how to provide it. The Crabtree & Evelyn Men range contains products for every aspect of toiletry routine, from shaving products to body cleansers. Inspired by exotic landscapes, earthy scents and aromatic woods, each scent in the range captures an adventurous spirit and a sense of resonating masculinity.